Winner of the 2018 Bestie Awards for Best Rooftop Bar! 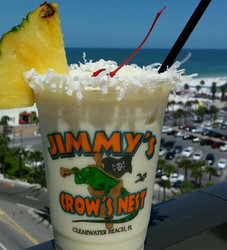 Boasting the most stunning panoramic views of the water and marina, Jimmy’s Crow’s Nest in Clearwater Beach, Florida is a favorite for both locals and visitors wanting a unique Florida sunset experience. Drink and dine with us on the 10th floor of Pier House 60, where the hotel’s unbeatable location can’t be refuted. Bright colors are everywhere at our rooftop bar. Immerse yourself in the startling blues of the Gulf in one direction, the colorful boats docked in the marina on the other side, and the reds and yellows of beautiful ocean sunsets—which is when the party starts! 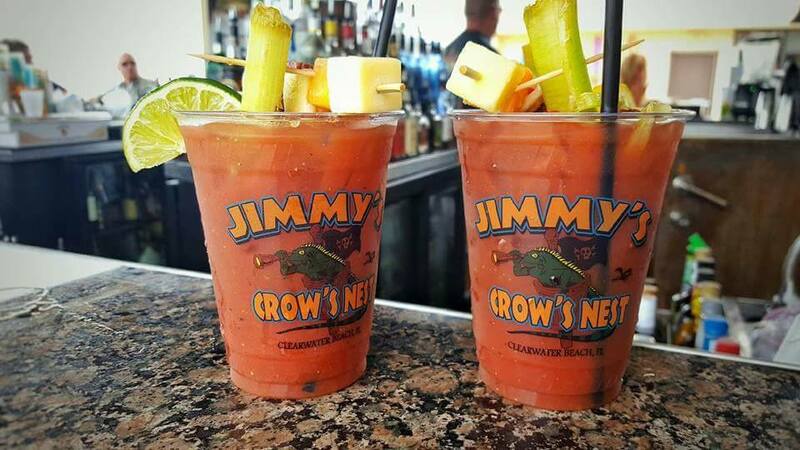 Treat yourself to a variety of chips and dips alongside amazing drink deals during Jimmy’s Crow’s Nest’s happy hour, served from 3 to 6 PM Sunday-Thursday. Our rooftop bar has a variety of cocktails, craft beer, wine, and fruity tropical drinks to keep the tropical vibes flowing. 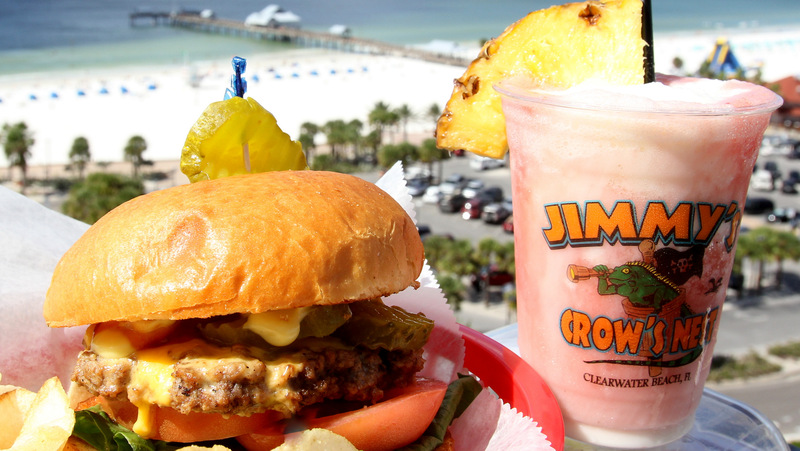 Enjoy a Pina Colada at the nearby Jimmy's Fish House.